Need to expand your conflict? 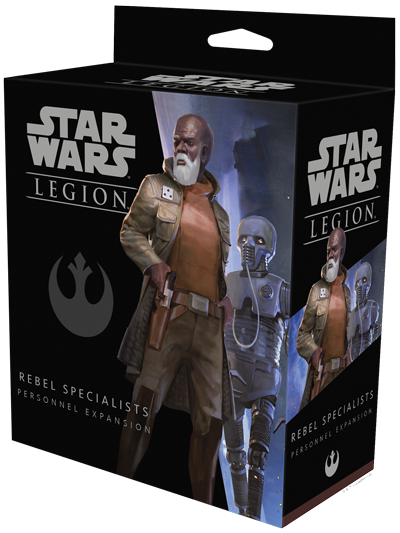 These three Star Wars: Legion products are available to buy right now! 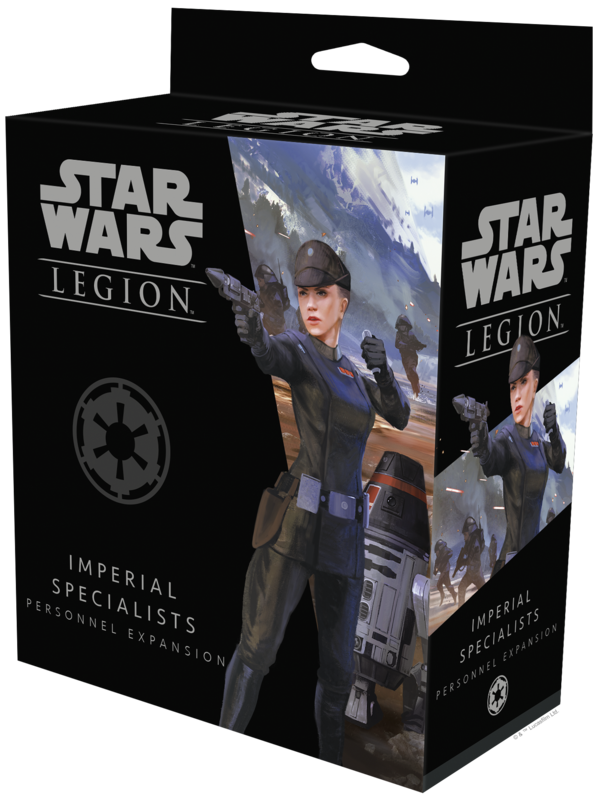 The Rebel Specialists Personnel Expansion (four Rebel specialist miniatures with unit, upgrade and command cards), the Imperial Specialists Personnel Expansion (four Imperial specialist miniatures with unit, upgrade and command cards), and Fantasy Flight Supply Plastic Stands. No matter what kind of game you’re playing, you’ll want to see all of the pieces in play. 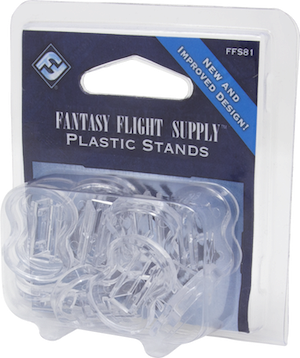 Plastic Stands from Fantasy Flight Supply are the perfect tool to elevate important tokens or standees so they can be easily seen from anywhere around the table. 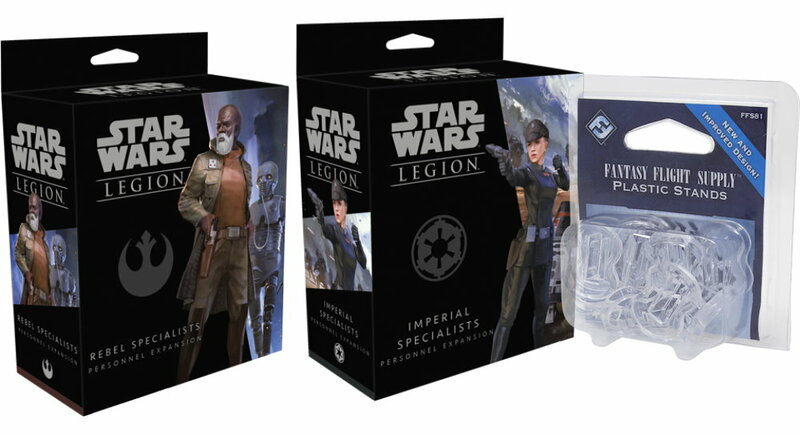 Now, with the new and improved design of our Plastic Stands, you can be certain that your game components will be safely and securely held.